Sir Roger Gilbert Bannister CBE (born 23 March 1929) is an English former middle-distance athlete, physician and academic, who ran the first sub-four-minute mile. In the 1952 Olympics in Helsinki, Bannister set a British record in the 1500 metres but finished fourth. This strengthened his resolve to be the first 4-minute miler. He achieved this feat on 6 May 1954 at Iffley Road track in Oxford, with Chris Chataway and Chris Brasher providing the pacing. When the announcer declared "The time was three...", the cheers of the crowd drowned out Bannister's exact time, which was 3 min 59.4 sec. Bannister's record lasted just 46 days. He had reached this record with minimal training, while practising as a junior doctor. Bannister went on to become a distinguished neurologist and Master of Pembroke College, Oxford, before retiring in 1993. When asked whether the 4-minute mile was his proudest achievement, he said he felt prouder of his contribution to academic medicine through research into the responses of the nervous system. Bannister is patron of the MSA Trust. He was diagnosed with Parkinson's disease in 2011. Bannister was born in Harrow, England. He went to Vaughan Primary School in Harrow and continued his education at City of Bath Boys' School and University College School, London; followed by medical school at the University of Oxford (Exeter College and Merton College) and at St Mary's Hospital Medical School (now part of Imperial College London). In 1949, he improved in the 880 yards to 1:52.7 and won several mile races in 4:11. Then, after a period of six weeks with no training, he came in third at White City in 4:14.2. The year 1950 saw more improvements as he finished a relatively slow 4:13 mile on 1 July with an impressive 57.5 last quarter. Then, he ran the AAA 880 in 1:52.1, losing to Arthur Wint, and then ran 1:50.7 for the 800 m at the European Championships on 26 August, placing third. Chastened by this lack of success, Bannister started to train harder and more seriously. His increased attention to training paid quick dividends, as he won a mile race in 4:09.9 on 30 December. Then in 1951 at the Penn Relays, Bannister broke away from the pack with a 56.7 final lap, finishing in 4:08.3. Then, in his biggest test to date, he won a mile race on 14 July in 4:07.8 at the AAA Championships at White City before 47,000 people. The time set a meet record and he defeated defending champion Bill Nankeville in the process. Bannister suffered defeat, however, when Yugoslavia's Andrija Otenhajmer, aware of Bannister's final-lap kick, took a 1500 m race in Belgrade 25 August out at near-record pace, forcing Bannister to close the gap by the bell lap. Otenhajmer won in 3:47.0, though Bannister set a personal best finishing second in 3:48.4. Bannister was no longer seen as invincible. His training was a very modern individualised mixture of interval training influenced by Franz Stampfl with elements of block periodisation, fell running and anaerobic elements of training which were later perfected by Arthur Lydiard. Bannister avoided racing after the 1951 season until late in the spring of 1952, saving his energy for Helsinki and the Olympics. He ran an 880 on 28 May in 1:53.00, then a 4:10.6 mile time-trial on 7 June, proclaiming himself satisfied with the results. At the AAA championships, he skipped the mile and won the 880 in 1:51.5. Then, 10 days before the Olympic final, he ran a ¾ mile time trial in 2:52.9, which gave him confidence that he was ready for the Olympics as he considered the time to be the equivalent of a four-minute mile. His confidence soon dissipated as it was announced there would be semifinals for the 1500 m (equal to 0.932 miles) at the Olympics, and he knew that this favoured runners who had much deeper training regimens than he did. When he ran his semifinal, Bannister finished fifth and thereby qualified for the final, but he felt "blown and unhappy." The 1500 m final on 26 July would prove to be one of the more dramatic in Olympic history. The race was not decided until the final metres, Josy Barthel of Luxembourg prevailing in an Olympic-record 3:45.28 (3:45.1 by official hand-timing) with the next seven runners all under the old record. Bannister finished fourth, out of the medals, but set a British record of 3:46.30 (3:46.0) in the process. After his relative failure at the 1952 Olympics, Bannister spent two months deciding whether to give up running. He set himself on a new goal: to be the first man to run a mile in under four minutes. Accordingly, he intensified his training and did hard intervals. On 2 May 1953, he made an attempt on the British record at Oxford. Paced by Chris Chataway, Bannister ran 4:03.6, shattering Wooderson's 1945 standard. "This race made me realise that the four-minute mile was not out of reach," said Bannister. On 27 June, a mile race was inserted into the programme of the Surrey schools athletic meeting. Australian runner Don Macmillan, ninth in the 1500 m at the 1952 Olympics, set a strong pace with 59.6 and 1:59.7 for two laps. He gave up after 2 1⁄2 laps, but Chris Brasher took up the pace. Brasher had jogged the race, allowing Bannister to lap him so he could be a fresh pace-setter. At ¾ mile, Bannister was at 3:01.8, the record—and first sub-four-minute mile—in reach. But the effort fell short with a finish in 4:02.0, a time bettered by only Andersson and Hägg. British officials would not allow this performance to stand as a British record, which, Bannister felt in retrospect, was a good decision. "My feeling as I look back is one of great relief that I did not run a four-minute mile under such artificial circumstances," he said. But other runners were making attempts at the four-minute barrier and coming close as well. American Wes Santee ran 4:02.4 on 5 June, the fourth-fastest mile ever. And at the end of the year, Australian John Landy ran 4:02.0. Then early in 1954, Landy made some more attempts at the distance. On 21 January, he ran 4:02.4 in Melbourne, then 4:02.6 on 23 February, and at the end of the Australian season on 19 April he ran 4:02.6 again. Bannister had been following Landy's attempts and was certain his Australian rival would succeed with each one. But knowing that Landy's season-closing attempt on 19 April would be his last until he travelled to Finland for another attempt, Bannister knew he had to make his attempt soon. Blue plaque recording the first sub-4-minute mile run by Roger Bannister on 6 May 1954 at Oxford University's Iffley Road Track. This historic event took place on 6 May 1954 during a meet between British AAA and Oxford University at Iffley Road Track in Oxford. It was watched by about 3,000 spectators. With winds up to 25 miles per hour (40 km/h) before the event, Bannister had said twice that he favoured not running, to conserve his energy and efforts to break the 4-minute barrier; he would try again at another meet. However, the winds dropped just before the race was scheduled to begin, and Bannister did run. The pace-setters from his major 1953 attempts, future Commonwealth Games gold medallist Chris Chataway from the 2 May attempt and future Olympic Games gold medallist Chris Brasher from the 27 June attempt, combined to provide pacing on this historic day. The race was broadcast live by BBC Radio and commented on by 1924 Olympic 100 metres champion Harold Abrahams, of Chariots of Fire fame. Bannister had begun his day at a hospital in London, where he sharpened his racing spikes and rubbed graphite on them so they would not pick up too much cinder ash. He took a mid-morning train from Paddington Station to Oxford, nervous about the rainy, windy conditions that afternoon. Being a dual-meet format, there were 7 men entered in the Mile: Alan Gordon, George Dole and Nigel Miller from Oxford University and four British AAA runners - Bannister, his two pacemakers Brasher and Chataway and Tom Hulatt. Nigel Miller arrived as a spectator and he only realised that he was due to run when he read the programme. Efforts to borrow a running kit failed and he could not take part, thus reducing the field to 6. The race went off as scheduled at 6:00 pm, and Brasher and Bannister went immediately to the lead. Brasher, wearing No. 44, led both the first lap in 58 seconds and the half-mile in 1:58, with Bannister (No. 41) tucked in behind, and Chataway (No. 42) a stride behind Bannister. Chataway moved to the front after the second lap and maintained the pace with a 3:01 split at the bell. Chataway continued to lead around the front turn until Bannister began his finishing kick with about 275 yards to go (just over a half-lap), running the last lap in just under 59 seconds. 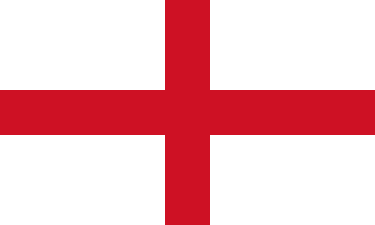 "Ladies and gentlemen, here is the result of event nine, the one mile: first, number forty one, R. G. Bannister, Amateur Athletic Association and formerly of Exeter and Merton Colleges, Oxford, with a time which is a new meeting and track record, and which—subject to ratification—will be a new English Native, British National, All-Comers, European, British Empire and World Record. The time was three..."
The roar of the crowd drowned out the rest of the announcement. Bannister's time was 3 minutes, 59.4 seconds. 50th anniversary of Bannister's four-minute mile, commemorated on a 2004 British fifty pence coin. The claim that a four-minute mile was once thought to be impossible by informed observers was and is a widely propagated myth created by sportswriters and debunked by Bannister himself in his memoir, The Four Minute Mile (1955). The reason the myth took hold was that four minutes was a round number which was slightly better (1.4 seconds) than the world record for nine years, longer than it probably otherwise would have been because of the effect of the Second World War in interrupting athletic progress in the combatant countries. 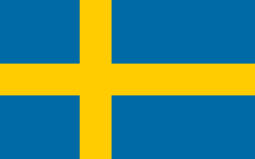 The Swedish runners Gunder Hägg and Arne Andersson, in a series of head-to-head races in the period 1942–45, had already lowered the world mile record by five seconds to the pre-Bannister record. (See Mile run world record progression.) What is still impressive to knowledgeable track fans is that Bannister ran a four-minute mile on very low-mileage training by modern standards. Just 46 days later, on 21 June in Turku, Finland, Bannister's record was broken by his rival Landy with a time of 3 min 57.9 s, which the IAAF ratified as 3 min 58.0 s due to the rounding rules then in effect. On 7 August, at the 1954 British Empire and Commonwealth Games in Vancouver, B.C., Bannister, running for England, competed against Landy for the first time in a race billed as "The Miracle Mile". They were the only two men in the world to have broken the 4-minute barrier, with Landy still holding the world record. Landy led for most of the race, building a lead of 10 yards in the third lap (of four), but was overtaken on the last bend, and Bannister won in 3 min 58.8 s, with Landy 0.8 s behind in 3 min 59.6 s. Bannister and Landy have both pointed out that the crucial moment of the race was that at the moment when Bannister decided to try to pass Landy, Landy looked over his left shoulder to gauge Bannister's position and Bannister burst past him on the right, never relinquishing the lead. A larger-than-life bronze sculpture of the two men at this moment was created by Vancouver sculptor Jack Harman in 1967 from a photograph by Vancouver Sun photographer Charlie Warner and stood for many years at the entrance to Empire Stadium; after the stadium was demolished the sculpture was moved a short distance away to the Hastings and Renfrew entrance of the Pacific National Exhibition (PNE) fairgrounds. Regarding this sculpture, Landy quipped: "While Lot's wife was turned into a pillar of salt for looking back, I am probably the only one ever turned into bronze for looking back." Bannister went on that season to win the so-called metric mile, the 1500 m, at the European Championships in Bern on 29 August, with a championship record in a time of 3 min 43.8 s. He then retired from athletics to concentrate on his work as a junior doctor and to pursue a career in neurology. He later became the first Chairman of the Sports Council (now called Sport England) and was knighted for this service in 1975. Under his aegis, central and local government funding of sports centres and other sports facilities was rapidly increased, and he also initiated the first testing for use of anabolic steroids in sport. Bannister married the artist Moyra Jacobsson, daughter of the Swedish economist Per Jacobsson, who served as Managing Director of the International Monetary Fund. On the 50th anniversary of running the sub-4-minute mile, Bannister was interviewed by the BBC's sports correspondent Rob Bonnet. At the conclusion of the interview, Bannister was asked whether he looked back on the sub-4-minute mile as the most important achievement of his life. Bannister replied to the effect that no, he rather saw his subsequent forty years of practising as a neurologist and some of the new procedures he introduced as being more significant. His major contribution in academic medicine was in the field of autonomic failure, an area of neurology focusing on illnesses characterised by certain automatic responses of the nervous system (for example, elevated heart rate when standing up) not occurring. For his efforts, Bannister was also made the inaugural recipient of the Sports Illustrated Sportsman of the Year award in 1955 (he was given the award as the 1954 Sportsman of the Year, but it was awarded in January 1955) and is one of the few non-Americans recognised by the American-published magazine as such. In a UK poll conducted by Channel 4 in 2002, the British public voted Bannister's historic sub-4-minute mile as number 13 in the list of the 100 Greatest Sporting Moments. Bannister is the subject of the ESPN film Four Minutes (2005). This film is a dramatisation, its major departures from the factual record being the creation of a fictional character as Bannister's coach, who was actually Franz Stampfl, an Austrian, and secondly his meeting his wife, Moyra Jacobsson, in the early 1950s when in fact they met in London only a few months before the Miracle Mile itself took place. The 50th anniversary of Bannister's achievement was marked by a commemorative British 50-pence coin. The reverse of the coin shows the legs of a runner and a stopwatch (stopped at 3:59.4). Bannister, arguably the most famous record-setter in the mile, is also the man who held the record for the shortest period of time, at least since the IAAF started to ratify records. In 1996, Pembroke College, University of Oxford named the Bannister Building to honour the achievements and memory of Sir Roger, a former Master of the college. The building, an 18th-century townhouse in Brewer Street, was converted to provide accommodation for graduate students. It was extensively refurbished during 2011 and 2012 and now forms part of the building complex surrounding the Rokos Quad, and is inhabited by undergraduates. In 2012, Bannister carried the Olympic flame at the site of his memorable feat, in the stadium now named after him. In the gallery of Pembroke College dining hall there is a cabinet containing over 80 exhibits covering Bannister's athletic career and including some academic highlights. In 1978, he was awarded an Honorary Degree (Doctor of Science) by the University of Sheffield. In 1984, he was awarded an Honorary Degree (Doctor of Science) by the University of Bath. 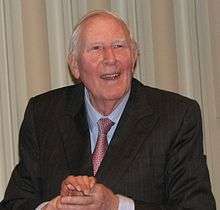 Sir Roger Bannister is an Honorary Fellow of his University of Oxford alma maters, Exeter College and Merton College. Wikimedia Commons has media related to Roger Bannister. 1 2 3 All-Athletics. "Profile of Roger Bannister". ↑ Levens, R.G.C., ed. (1964). Merton College Register 1900-1964. Oxford: Basil Blackwell. p. 410. ↑ "On This Day, 1950–2005: 6 May 1954: Bannister breaks four-minute mile". BBC News. Retrieved 26 October 2013. Includes full footage of the race. ↑ Stephen Wilson (1 March 2012). "AP Interview: Roger Bannister relives 4-minute mile and stays coy on London Olympic flame". Associated Press. Retrieved 26 October 2013. ↑ "Too Modest by Half – Reliving Sir Roger Bannister's Four-Minute Mile". Oxford Royale Academy. 20 March 2012. Retrieved 26 October 2013. ↑ Tom Michalik. "The Four Minute Mile!". randolphcollege.edu. Retrieved 26 October 2013. ↑ "Supplement to the London Gazette of Tuesday, 31st December 1974". london-gazette.co.uk. Retrieved 26 October 2013. ↑ David Epstein (journalist). "Sir Roger's Run". Sports Illustrated (4–11 July 1011): 102–106. Retrieved 26 October 2013. ↑ "100 Greatest Sporting Moments – Results". channel4.com. Retrieved 26 October 2013. ↑ "Pembroke College » The Gallery". pmb.ox.ac.uk. Retrieved 26 October 2013. ↑ "Honorary Graduates" (PDF). shef.ac.uk. Retrieved 26 October 2013. ↑ "Honorary Graduates 1966 to 1988 » Roger Bannister, 1984". bath.ac.uk. Retrieved 26 October 2013. ↑ "Sir Roger Bannister inspires Brookes graduates". Retrieved 10 September 2014. ↑ "Honorary Fellows". Merton College, Oxford. Retrieved 6 June 2016. The First Four Minutes: ESPN Classic Television Programme. The Four Minute Mile TV mini-series (1988), available on DVD. Bannister, Roger (1955), The Four-Minute Mile. Revised and enlarged 50th anniversary (of the race) edition, 2004, The Lyons Press. Bascomb, Neal (2004), The Perfect Mile: Three Athletes, One Goal, and Less Than Four Minutes to Achieve It. ISBN 0-618-39112-6. Cameron, Julia (1993), The Artist's Way. Oxford, London: Pan Books. ISBN 0-330-34358-0. Roger Bannister and the Four-Minute Mile, original reports from The Times. Sir Roger Bannister is Patron of the Multiple System Atrophy Trust.